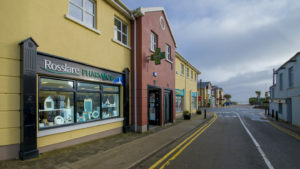 Rosslare Pharmacy is an owner run pharmacy and has been servicing the locality now for almost 10 years. We have developed a great customer base and continue to grow annually. We are ideally situated in the seaside resort on the Station Road beside Centra. All prescription schemes are dispensed at Rosslare Pharmacy. We also offer a range of services from Healthcare and Beauty to Giftware and Photo printing.